Normando Hernández is an independent journalist who has dedicated his career to providing alternative sources of news and information in Cuba. In 1999, he co-founded the Cuban Foundation for Human Rights, and in 2000, he established the Camaguey Association of Journalists, the first independent organization in Camaguey province since 1959. 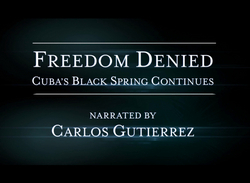 Declared a “prisoner of conscience” by Amnesty International following Cuba’s “Black Spring” (2003–2010), during which dozens of dissidents and journalists were imprisoned for their activism, Mr. Hernández was exiled to Spain in 2010 and has since resettled in the United States. The author of numerous articles and publications, including the book El Arte de la Tortura: Memorias de un Ex Prisionero de Conciencia Cubano (The Art of Torture: Memories of a Former Cuban Prisoner of Conscience, 2010), he has received several journalism and human rights awards, including the Norwegian Writers Association’s Freedom of Expression Award (2009), the PEN American Center’s PEN/Barbara Goldsmith Freedom to Write Award (2007), and a special mention by the Inter-American Press Association for excellence in journalism (2003). 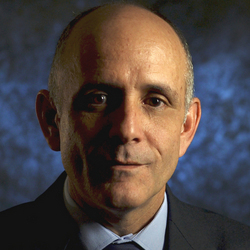 Mr. Hernández is currently a Reagan-Fascell Fellow at the National Endowment for Democracy, where he is examining the Cuban communications monopoly and considering strategies by which independent journalists may combat totalitarianism. Cuba, an island nation of 11.4 million people in the northern Caribbean Sea, is a totalitarian state. Fidel Castro led the 1959 Cuban Revolution and ruled the country for 49 years before formally relinquishing power to his younger brother Raul in 2008. Raul Castro is the current head of state and First Secretary of the Communist Party, which is recognized by the Cuban Constitution as the only legal political party and “the superior leading force of society and of the state.” Raul Castro has said that he will step down from power at the age of 86 in 2018. Cuba was a territory of Spain until the Spanish-American War. The United States assumed control of the island until 1902, when the Republic of Cuba became formally independent. A fledgling democracy was established, with the U.S. continuing to play a strong role in Cuban affairs. In 1952, facing an impending electoral loss, former president Fulgencio Batista staged a successful military coup and overthrew the existing government. While his first term as elected president in the 1940s largely honored progressive politics, universal freedoms, and the Cuban Constitution of 1940, Batista’s return to power in the 1950s was a dictatorship marked by corruption, organized crime and gambling. He held power until 1959 when he was ousted by Fidel Castro’s rebel July 26th Movement. While promising free elections and democracy, Castro moved quickly to consolidate power. By 1961, Castro had declared Cuba to be a communist nation. Castro’s communist government nationalized private businesses, lashed out at political opponents, and banned independent civil society. As Cuba aligned itself with the Soviet Union, Cuban-American relations soured, including a U.S. embargo on trade with Cuba. In the 1962 Cuban Missile Crisis, the United States and the Soviet Union came close to war, after the Soviets installed nuclear missiles in Cuba, prompting a U.S. naval embargo. Since the revolution, Cuba has remained a one-party state. Following the collapse of the Soviet Union in 1991 and the evaporation of Soviet economic support, Cuba loosened some economic policies, became more open to foreign investment, and legalized use of the U.S. dollar. By the late 1990s, Venezuela had become Cuba’s chief patron, thanks to the close relationship between the Castro brothers and Venezuela’s late President Hugo Chavez. The regime continues to exercise authoritarian political control, clamping down on political dissent and mounting defamation campaigns against dissidents, portraying them as malignant U.S. agents. 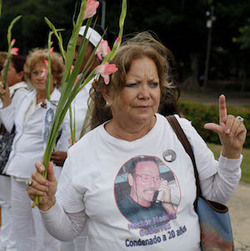 In a massive crackdown in 2003 known as the Black Spring, the government imprisoned 75 of Cuba’s best-known nonviolent dissidents. The Cuban government does not respect the rights to freedom of expression, peaceful assembly, association, movement, and religion. The government and the Communist Party control all news media, and the government routinely harasses and detains its critics, particularly those who advocate democracy and respect of human rights. Frequent government actions against dissidents often take the form of attacks by regime-organized mobs. Prison conditions are harsh and often life-threatening, and the courts operate as instruments of the Communist Party rather than conducting fair trials. 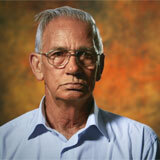 Cuba relaxed its travel laws in 2013, allowing some prominent dissidents to leave and return to the country. It continues to experiment with modest economic reforms but remains committed to communist economic orthodoxy. In Freedom House’s Freedom in the World report, Cuba was designated as “not free” and is grouped near the bottom of the world’s nations, with severely restricted civil rights and political liberties. Normando Hernandez: Does the Opposition Have Support in Cuba? On how average Cubans view the opposition and some of its leading figures.